Your home air quality can impact so many areas of your life, particularly your overall health! Here at SafeAir Contractors, we often have clients call us after they have been suffering from mysterious symptoms or illness for quite some time. When they finally call in someone to do a quality of air testing, they find out that they have been sharing their home with unwanted guests that have contributed to some very nasty illnesses! Today we’re looking at a few of the most common culprits! One of the culprits that we deal with most often here at SafeAir when we are trying to help our clients live happier and healthier lives, is mold! 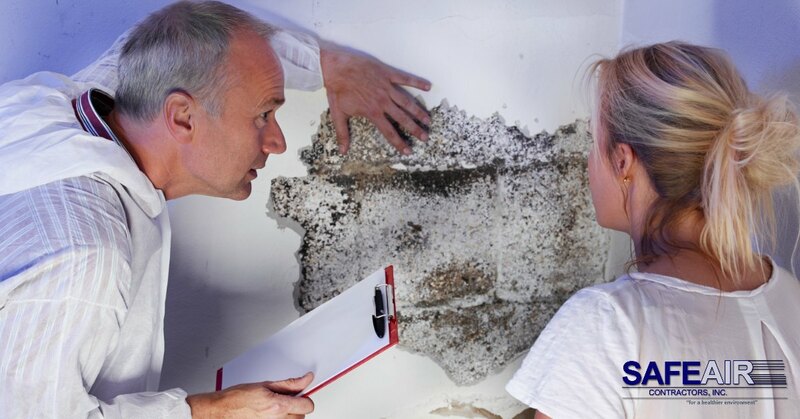 Almost all of us have experienced mold in one area of our homes at some point, but when mold goes unchecked, it can become a very serious problem. If left without treatment, mold can continue to grow and take over your home, releasing mold spores into the air that you breathe. As this happens, mold can cause irritation and upper respiratory problems which can be very dangerous in people with a compromised immune system, the very young or the elderly. Mold can also be a big problem for those who suffer from existing upper respiratory concerns such as asthma. Asbestos certainly isn’t as much of a problem today as it used to be, but that isn’t to say that there aren’t any homes with asbestos-contaminated materials still out there. Plenty of older homes were built using materials that contain asbestos – materials that weren’t outlawed until after the house was built and sold! If you live in one of these houses and are exposed to asbestos on a regular basis, there is a chance that your home’s asbestos problem is making you very sick. 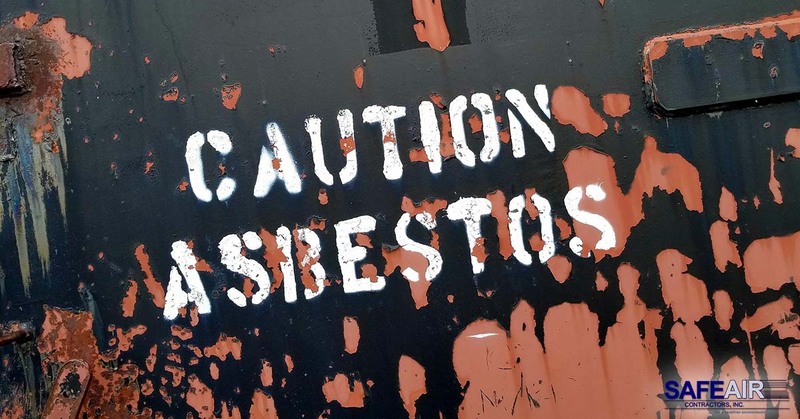 Asbestos exposure can result in anything from respiratory irritation to cancer, so it’s important to get any asbestos in your home taken care of as soon as possible. Lead paint is another product that has been outlawed for a while, however, if you own or have recently purchased an older home then the chances are that you have at least some lead paint in your house. If you are concerned about lead paint or if you suspect that you have lead paint in your home, call in a licensed inspector who can confirm the presence of lead paint. Once you have confirmation, call on a professional lead paint removal company like SafeAir Contractors and we will come to your home right away and set up a lead paint treatment plan. Often, this involves removing old pain using safety techniques designed not to further contaminate your home with lead dust. When we think about hazardous waste, we tend to think about corporations and big chemical spills, but the average household also has its fair share of hazardous waste too. Household hazardous wastes can include oil paints, drain cleaners, fuel, medical waste, some cleaning chemicals, antifreeze, poisons, herbicides, pesticides, and rodenticides. Just as we expect companies to be responsible when they dispose of their hazardous waste products, it’s important that you too are responsible for the hazardous waste products in your home. There are a few ways that you can do this including using designated drop off points or calling in the professionals if you have more than a small amount of waste. One of the biggest concerns when it comes to staying healthy in your home is the presence of airborne pollutants. By virtue of our lifestyle, we all live around airborne pollutants on a daily basis, but on occasion, these pollutants can get out of control and start to affect our quality of life. Most commonly, we see respiratory difficulties along with dull skin, dry skin, and malaise as a result of these types of pollutants. Although we here at SafeAir are dedicated to making your home a healthier place to live and your business a healthier place to work, we generally don’t deal directly with airborne pollutants other than mold, lead paint, commercial hazardous waste, and asbestos. If you are suffering from a buildup of other airborne pollutants in your home, we suggest that you invest in a high-quality air filter and sanitizer that will be able to help you to remove these pollutants from the air so that you can feel much healthier overall! Need to Improve Your Home Air Quality? If you need to improve your home air quality and you live in Ohio or western Pennsylvania, SafeAir Contractors can help! Just pick up the phone and give us a call today at 440-639-1191 and our skilled technicians will have you breathing easy again in no time!